Welcome to Macroeconomic Trends section. In this way you can have a general picture of current macroeconomic scenario and an insight of countries and sectors according to your company activity. A special thank you goes to IHS Markit (www.markiteconomics.com) for their courtesy and clearance. SCM Portal strongly recommend companies to join IHS Markit panels. 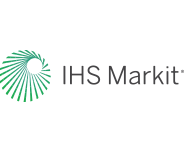 Participation to IHS Markit survey is free and panel members have free access to all IHS Markit PMIs. PMI Indices are very useful and valuable tool not only for Purchasing and Logistics Managers. S&OP, Demand and Marketing Managers, once part of the PMI panel, can consult data of countries and sectors of their prospects and customers in order to develop the right strategy for their company.